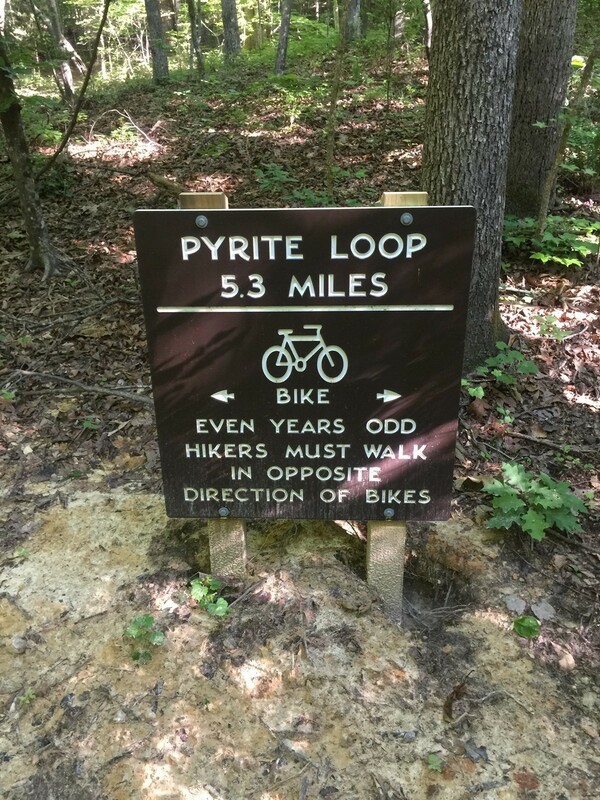 A sign at the start of the Pyrite Loop directs visitors which way to travel depending on the year. Even years, travel clockwise. Odd years, travel counter-clockwise.